It's Fall! In our house - and I'm sure many others - that means time for all things pumpkin! 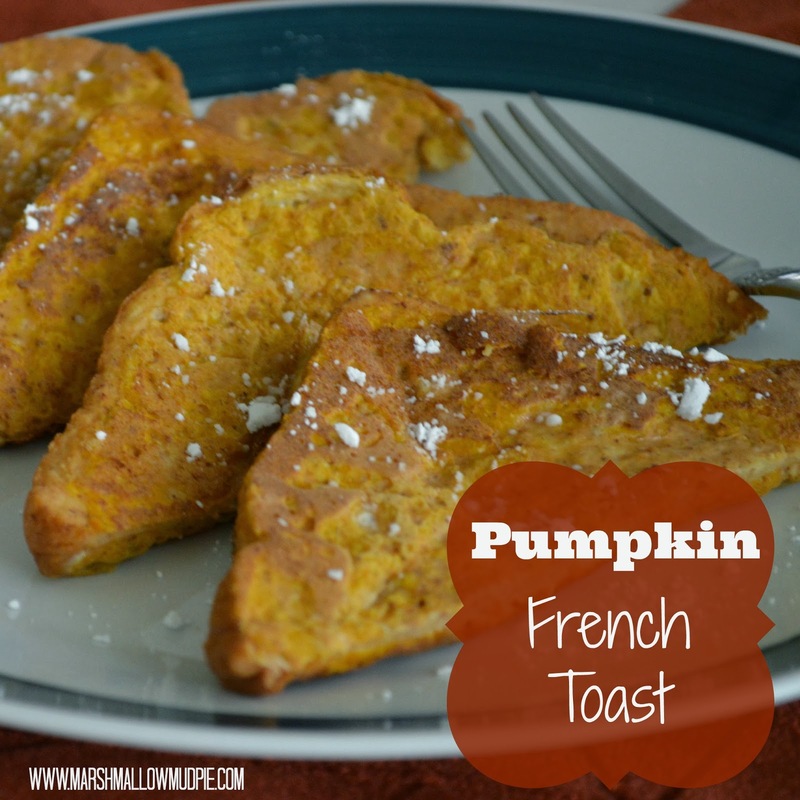 I recently saw a picture of pumpkin french toast and thought, "Why didn't I think of this before?!" French toast is one of Little Guy's favorite Sunday morning breakfasts, so to celebrate the first day of Autumn, I decided to make Pumpkin French toast. Beat eggs and combine with milk, pumpkin, and cinnamon. Coat each side of your bread in mixture and cook on griddle (or you can use a pan) flipping when each side is gently browned. Enjoy with a bit of syrup! *I had a few slices left over after breakfast, so I froze them individually in ziplock baggies. They make a great breakfast for mornings when you're short on time. Just pop them in the toaster to reheat. You can even cut them into sticks to eat on the go! You had me at pumpkin french toast! Sounds great, I can't wait to try it!